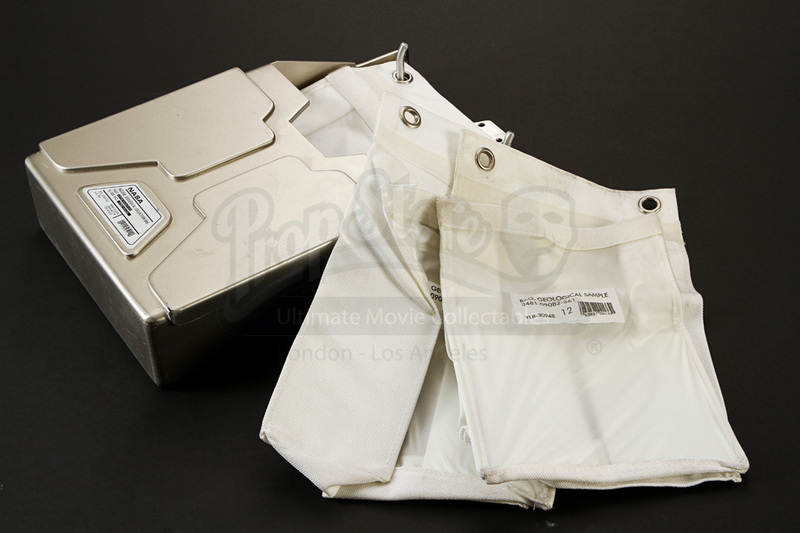 Luke Graham's (Don Cheadle) NASA Geological Collection Bags and Holder from the 2000 sci-fi drama Mission to Mars. 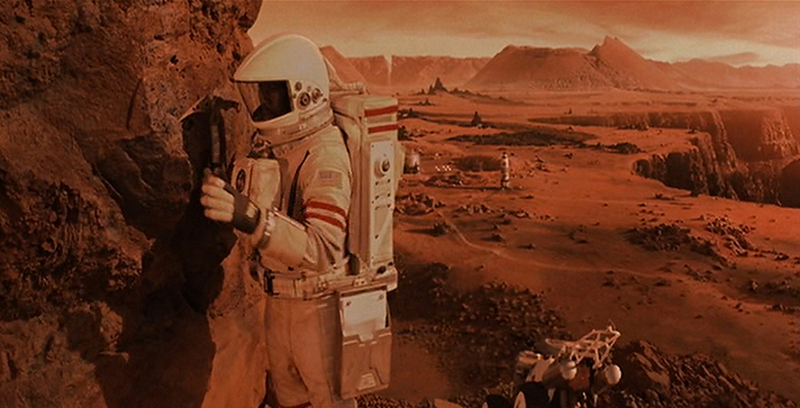 In the film, a group of NASA astronauts performing scientific tests on the surface of Mars are met with a mysterious and catastrophic disaster. Hoping that one member of the party may have survived, NASA assembles a team led by Jim McConnell (Gary Sinise) to perform a rescue mission. 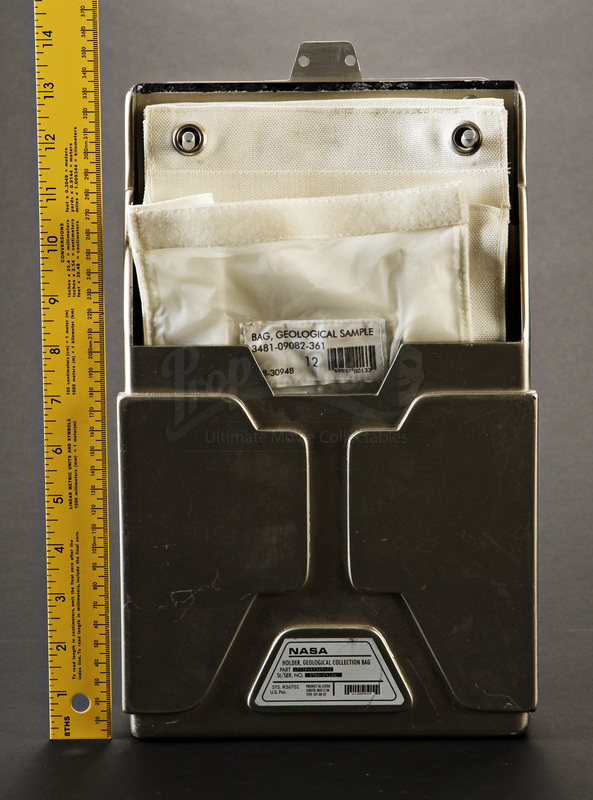 A geological collection kit like this one can be seen being worn by Luke Graham (Don Cheadle) in one of the film’s early scenes, as he conducts geological testing on Mars. 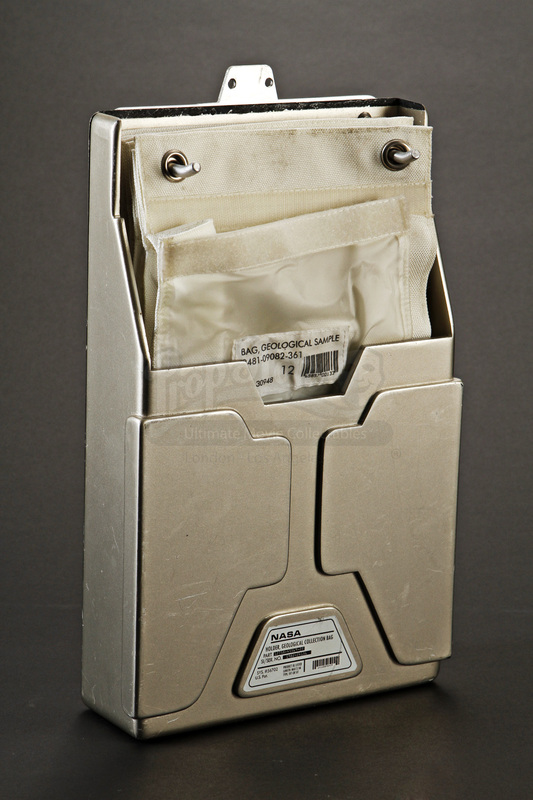 The container is made of fiberboard painted a steel color and features two pegs at the top to hold the collection bags. This piece also displays a NASA tag at the bottom, which reads “Holder, Geological Collection Bag,” and includes product and serial numbers. 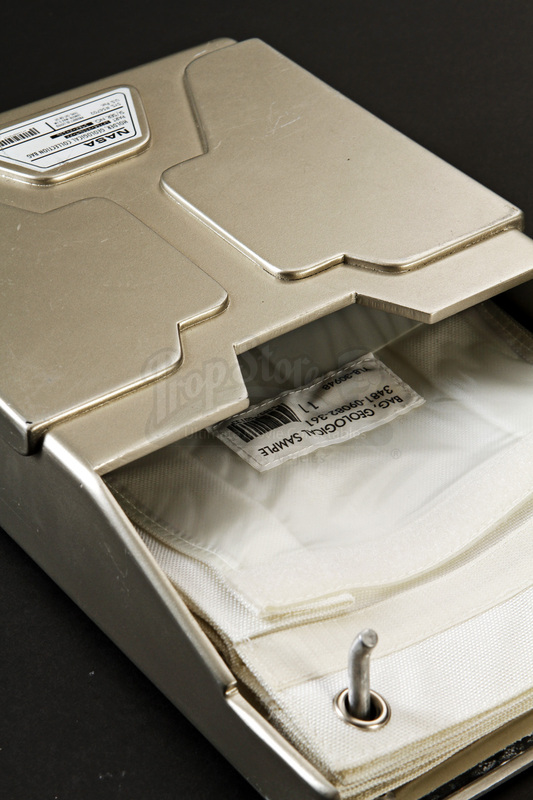 Also included are collection bags made from cream-colored canvas pouches that can be closed at the top with Velcro. 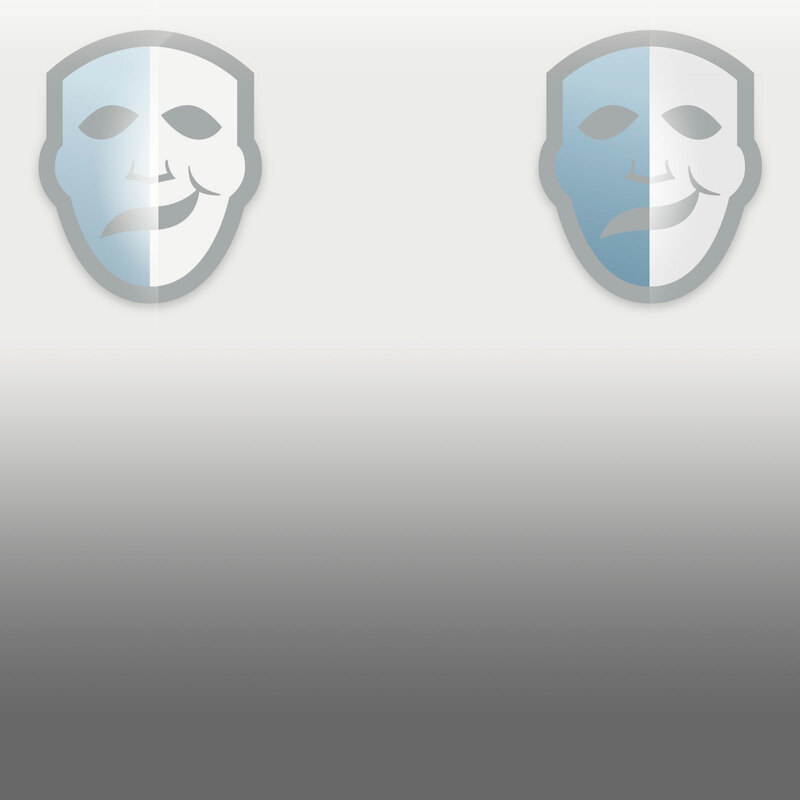 The front of the bag is transparent so that the contents of the bag are visible from the outside. 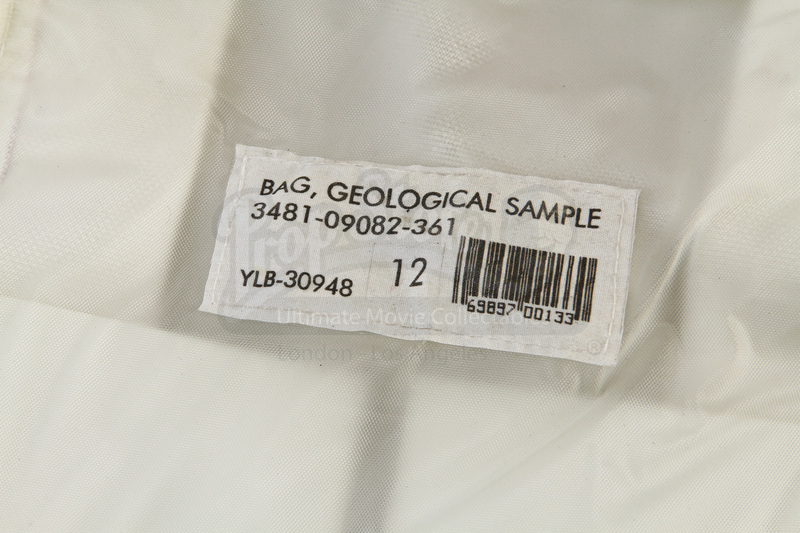 The bags also feature a NASA tag with product and serial numbers, as well as the product name “Bag, Geological Sample.” At the top of the bags are two metal-lined rings, which allow the bag to be slid onto the pegs of the container. 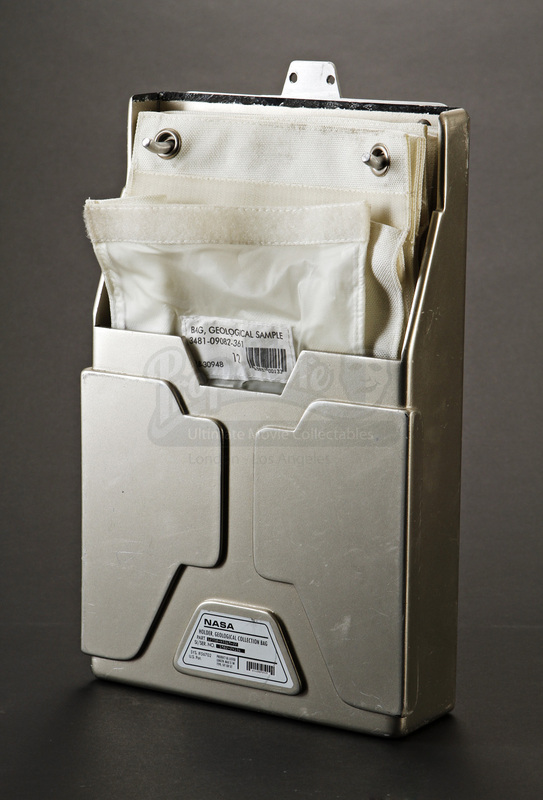 The collection kit measures approximately 13” x 8.5" x 2" (33cm x 21.5cm x 7.5cm), while the individual bags measure approximately 7.5” (19 cm) x 11” (28cm). 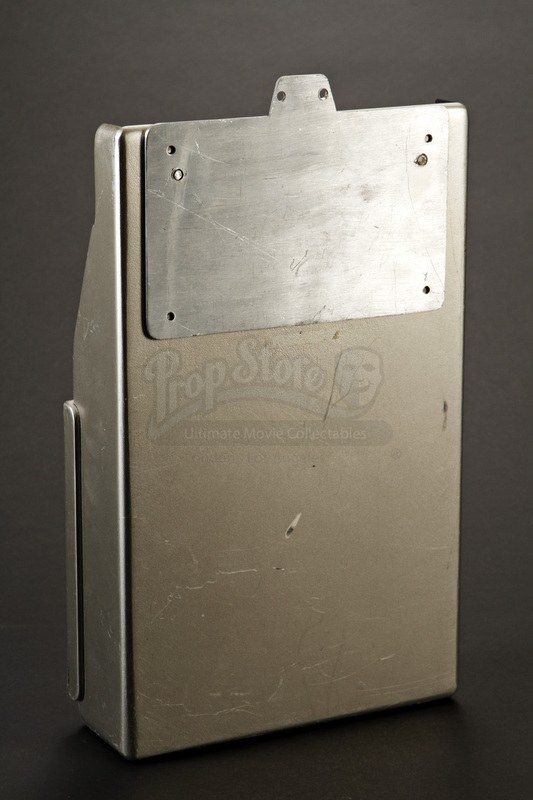 This item remains in excellent, production-used condition.